In last one months those things has happened in two countries of Middle East Tunisia and Egypt which no one was expecting 30 days ago. People of Tunisia and Egypt has got rid of Dictators which where ruling their Countries from many Decades and where also puppets of United States. The Same Situation is still existing in several more Countries of Middle east and if people of these Countries Wakes up and presents Sacrifices they can also get rid of these Corrupt Dictators. 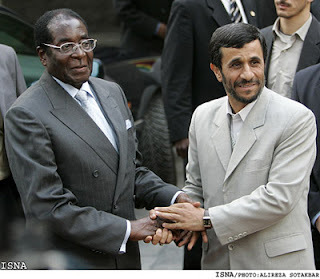 Iranian President Ahmadinejad has said that Middle east will soon be free from Influence of United States and Israel. On 32nd Birthday of Iranian Revolution Iranian President said now US and Israeli Policies of Brutality can't work in Middle east anymore. He also warned people of Egypt about double face of United States which supported a Corrupt Dictator in Egypt for 30 years and now is talking about Democracy.